"Water Feature" is mostly a term that is used in architecture and poolscape design to describe cascades, waterfalls, and streams. It can cover everything from simple cascading stone waterfalls in a garden, to the astounding waterworks and fountains found in a luxury pool. These days, the term is used to describe all the awesome bells and whistles that add extra personality to your pool, from impressive colored water cascades, timed fountain shows, vanishing edges on pools, or swimming pools with multi-level waterfalls. If you’ve ever wanted a swimming pool that has that extra "oomph" to impress guests with, then you’ll need water feature pumps to make this happen. These are pumps that are especially designed to deliver water to your pool features in order to create the dazzling displays that you have in mind. 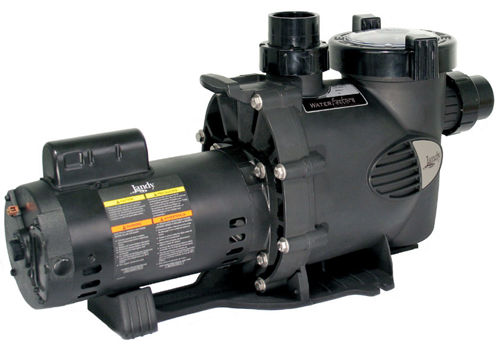 Pool water feature pumps can handle varying degrees of water pressure, and some models can even be programmed to deliver water in certain patterns or according to certain cues. For those who want to add some glamour to their swimming pools, make sure to consult with your professional pool equipment and maintenance expert, Sterling Pool Service, in order to determine which type of water feature pump is right for you. We have been providing top quality pool equipment and services to homes and businesses in Dallas and Allen for more than 26 years. Our team of licensed and highly-trained technicians is fully capable of helping you carry out pool improvements, all the way from purchasing, to installation, operation, and maintenance. So give us a call at 888-973-0274, from 8:00am to 4:30pm Mondays through Fridays, or send us a message via our online contact form, and our knowledgeable and friendly staff will be happy to answer all of your inquiries. Make sure to also inquire about our FREE weekly service agreement and FREE pool renovation bids!